Experts in late model Mustang racing parts & custom builds! Experts in late model Mustang racing parts to custom builds! 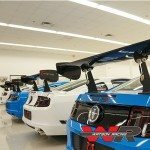 Watson Racing specializes in late model Mustang racing parts and race car builds. Also an affiliate of Watson Engineering, founded in 1981 in Southeast Michigan. Watson is very proud to be an integral part of the Ford Performance Racing Cobra Jet and Mustang Boss 302S builds. In 2013, Watson Racing became an authorized Ford Performance Racing Parts and Edelbrock E-Force Distributor. Also, Watson is now releasing its brand of authentic “Watson Racing” products. Previously, road race, drag race and street race application parts were only available on new Cobra Jet or Boss 302 Mustang racing cars. Watson Racing Videos >> Online!! Watson Racing’s race shop and track support teams offer decades of technical racing knowledge and fabrication skill. Specifically, Watson technicians are experts with the Ford Cobra Jet drag car and S197, S550 Mustang Boss 302 race car. Also specializing in other performance racing vehicles as well. For many years, the Watson family played a significant role in shaping Detroit’s racing history from behind the scenes. Watson is proud to offer racing expertise, products, and services, to the public. If you want top-of-the-line drag, street or road race car build or parts, 1-stop shop. Also, if you need any assistance with your race vehicle, call your local Mustang racing parts experts at Watson Racing! Service replacement for the Boss 302S Mustang road race cars! 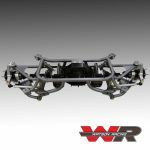 Designed specifically to provide support for the G-Stream Comp 800 carbon fiber race wing and struts. Mounts to the underside of your 2010 – 2014 Mustang trunk lid, and disperses the load to numerous points on the structural layer of the trunk lid. Fabricated from laser-cut aluminum, TIG welded in fixtures, and powder coated for long life. Requires permanent modification to your trunk lid. 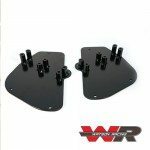 These are the only G-Stream spoiler support plates available for your Mustang on the market today! Validated with years of track and race abuse. Perfect for those of you who are part-time racers and don’t want a full-time roll bar. Uniquely-engineered Watson’s bolt in roll cage mounting system stays hidden and mounted in the car. Unbolt the roll bar from INSIDE your car for quick removal and re-installation. 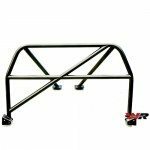 Mustang bolt in roll cage serves multiple purposes, it protects the passengers in the event of a crash, provides a stronger Mustang chassis and enhances the unibody structure to get the most power available for your race car. 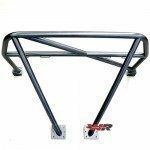 Watson is proud to provide offer this top of the line custom fabricated bolt in roll cage that is second to none.